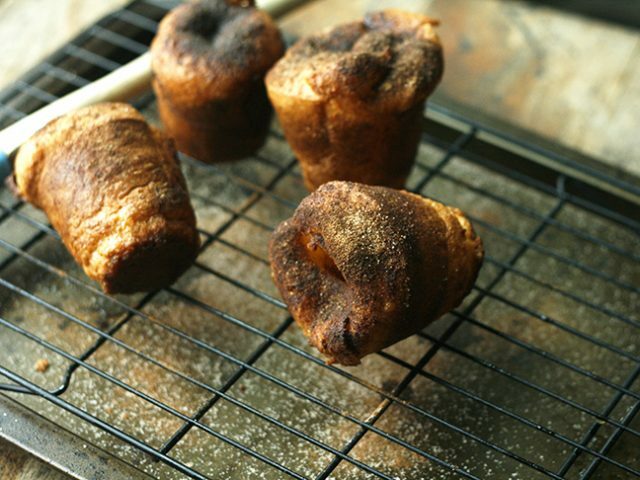 A popover is a crusty, hollow bread that is somewhere between a custard and a croissant. They are simply delicious. My mom first tried one years ago during a family vacation in Maine and it inspired her to buy her own popover pan, which she handed down to me. If you don’t have one, you could use a muffin tin in a pinch, though they won’t have that same tall shape. When filling the pan, you only need to fill it a third of the way full to get a big, lofty popover. Transform them into something extra special by finishing the recipe off with a sweet, buttery, cinnamon sugar topping. Needless to say, my kids can’t get enough of them. 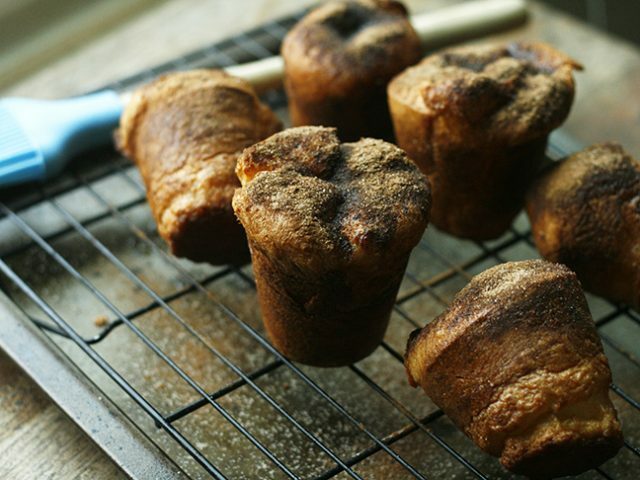 Transform easy popovers into something extra special with a sweet, buttery cinnamon sugar topping. Step 1: Whisk together the flour, salt, egg, and milk until smooth. Set aside. Step 2: Preheat the oven to 450 degrees Fahrenheit. Warm the popover pan in the oven for 5 minutes. Remove from the oven. 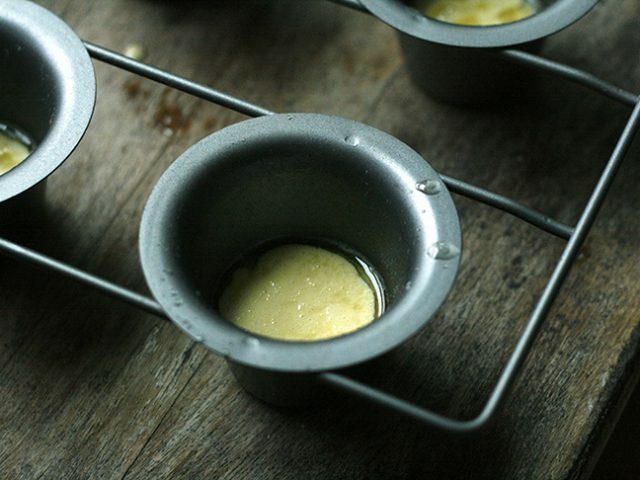 Step 3: Brush the insides of six cups of a popover pan with melted butter -- use it all. It should pool in the bottom. Divide the batter evenly among the six cups. Step 4: Bake for 15 minutes. Lower the oven temperature to 350 degrees and bake for an additional 15 to 20 minutes, until golden brown. 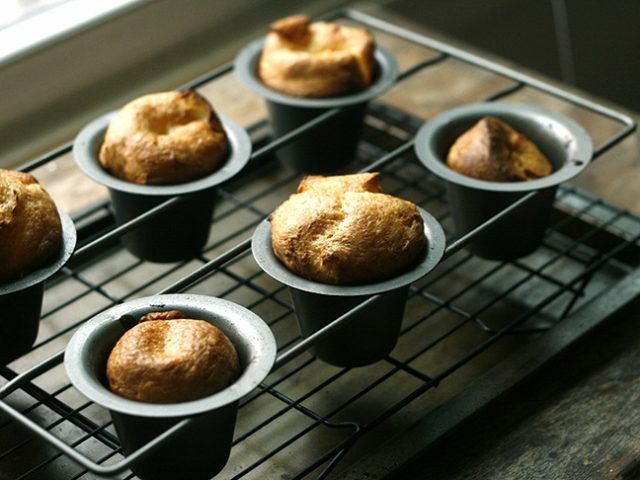 Step 5: Unmold the popovers onto a wire rack. Puncture the sides with a knife to allow steam to escape. Step 6: Brush the popovers with butter. Stir together the cinnamon and sugar. Then, sprinkle generously all over the popovers.